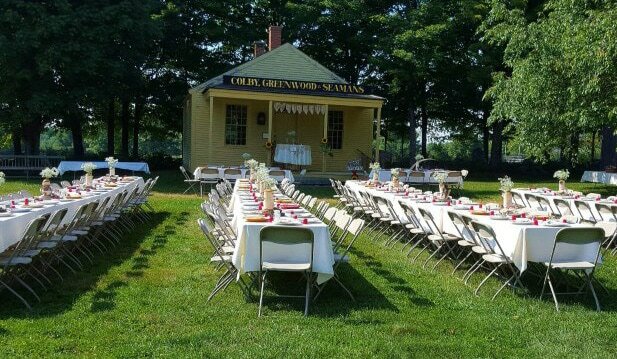 The New London Historical Society provides a special backdrop for wedding ceremonies and receptions for up to 150 guests. 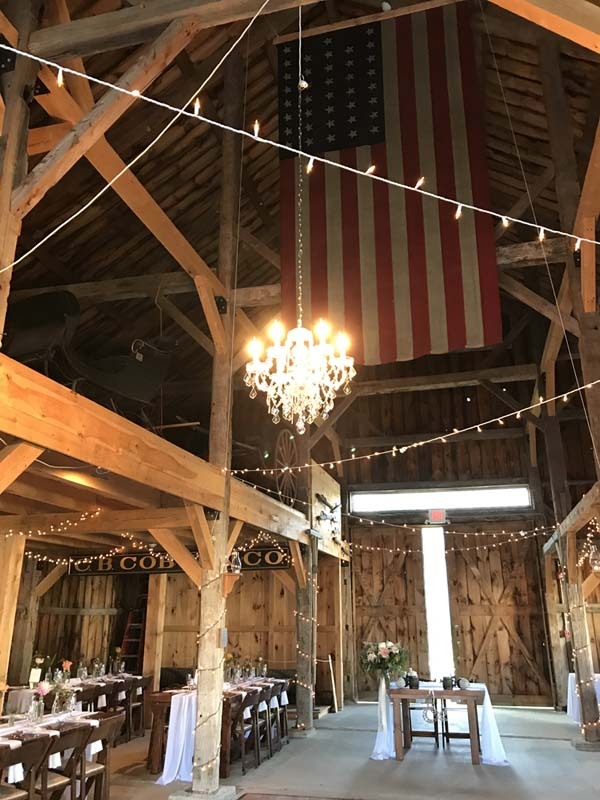 Our Meeting House, Phillips Barn, and open grassy areas are the perfect combination to design the wedding of your desires. You might want to consider having Historical Village Docents available to spend time with your guests while the photographer captures some unique portraits. Private rentals of selected facilities are subject to terms and conditions that ensure the safety of our collection. Please review our rental information documents for more information. To check availability, request a tour or a quote, or make other inquiries, please submit a rental inquiry. Our rental coordinator will respond promptly. ​View our wedding album to see examples of past events.